The final match day in the group stages of FUFA Drum saw seven matches played and one abandoned with 15 minutes to play as several provinces made it to the last eight of the competition. In Group A, winners Busoga thrashed Sebei 4-0 at the Kyabazinga stadium in Bugembe to finish with 13 points. Kirinya-Jinja S.S’, Anthony Mayanja opened the scoring after 22 minutes and Richard Wandyaka of BUL F.C doubled the scores seven minutes to the half time break. Another Kirinya player in Hamis Tibita scored the other two goals to ensure that Busoga finish top of the pile in its group. The other group A game between Bugisu and Teso was abandoned by referee with 15 minutes to play and we all await a ruling from the organizing committee on the way forward. Cranes captain and custodian Denis Masinde Onyango plus Emmanuel Okwi played in attack for Teso. 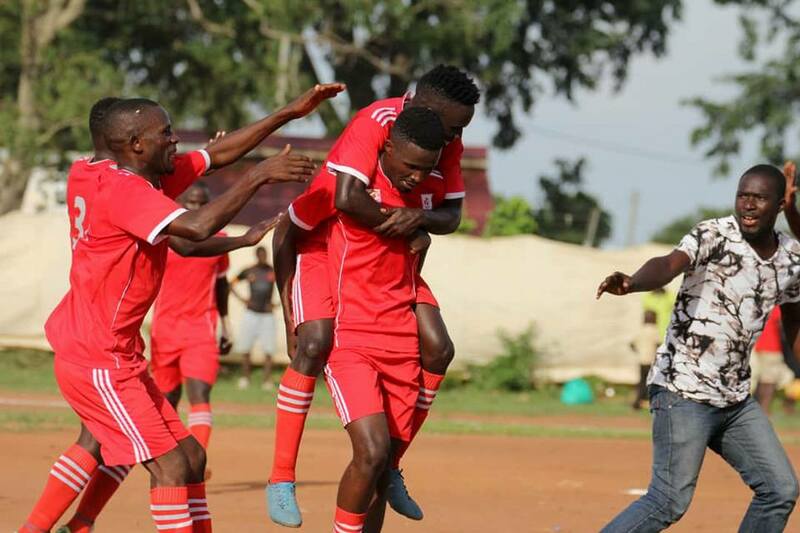 Group B saw both Buganda and Acholi advance to the knock-out stages of the competition. The two sides faced off in the final group game in Mukono with the home side (Buganda) winning 1-0 to ensure their progression. The goal was scored by Onduparaka FC goalkeeper Nicholas Ssebwata from a well struck penalty. At the Uganda Technical College in Lira, Lango defeated Kigezi 2-0 but it was not enough for either side to go through. Ivan Oree and KCCA FC teenage sensetion Allan Okello scored for Lango as Bronson Sserumira Nsubuga of Lango was named Man of the match. In group C, Bukedi smiled to a 2-0 home win over Rwenzori at the Pallisa Hospital play ground. David Owori and Jackson Komakech were on target for Bukedi. Bunyoro overcame Kampala 1-0 in Masindi. Jackson Komakech’s 76th minute goal won the game and despite a second stright loss, Kampala progressed to the quarter finals as group leaders. 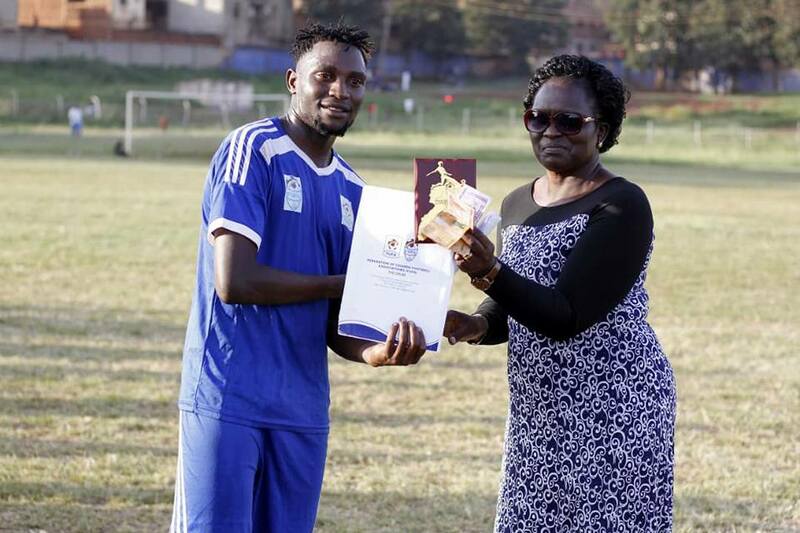 Goalkkeeper Jamal Kiyimba of Bunyoro was named Man of the Match. Karamoja and Tooro settled for a goal-less draw in a group D encounter played at the Boma play ground in Moroto. 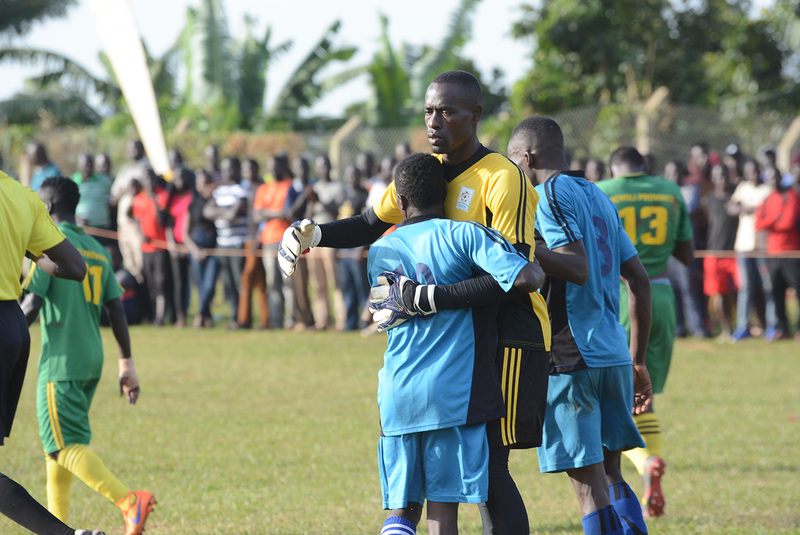 Karamoja goalkeeper Rajab Kajoba was the best player on the day after making numerous saves including a penalty kick. In a five goal thriller, Ankole recovered from two goals down to see off West Nile 3-2 at the Kyamate play ground in Ntungamo district. Alfred Leku of Express FC and Fred Amaku of K-Jinja SS had scored for West Nile in the 12th and 21st minutes respectively. KCCA FC player Paul Mucureezi grabbed a brace in the 49th and 79th minutes with Lameck Ebong getting the other goal for the home in 10 minutes into the second half. 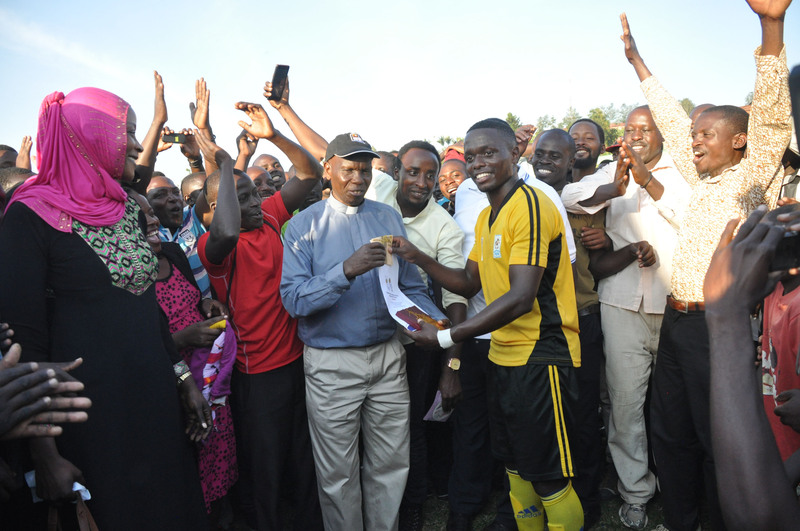 Mucureezi was named man of the match as he received the award from his father Rev Canon Jonathan Bwanahoro. The Quarter-final matches to be played on home and away basis are set for the weekend of 30th June and 1st July 2018.